At the Denture Care Clinic, we have our own in-office lab and a full-time technician with over 30 years of experience. We have a large inventory of all that is needed to fabricate a high quality solution for those with missing teeth. Because we have a technician and materials on site we can provide treatment more quickly than is typical with most offices. Though there are times when treatment needs demand very prompt attention, it is very important to Dr. Fisher that quality and accuracy are maintained. We have many general dentists and specialists who refer challenging cases to our office on a regular basis. We appreciate this and feel it is a testament to the care we provide our patients. 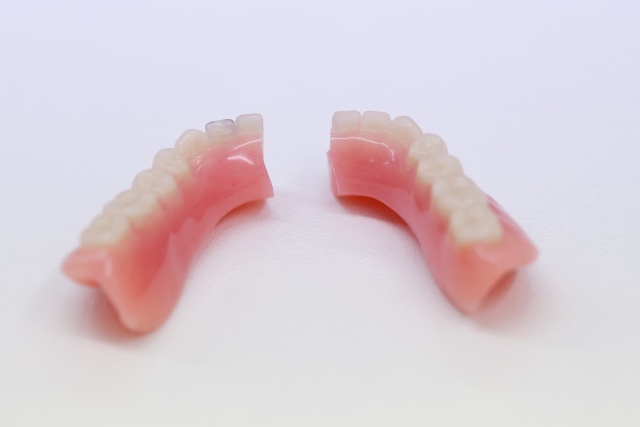 We offer full and partial denture solutions to suit your treatment goals and different grades of dentures to meet your financial needs. Relines and Repairs can often be completed in one day at the Denture Care Clinic. Whether you need an improved fit or a repair to a damaged denture or partial, we are here to help. Denture Implants are a relatively painless procedure that the Denture Care Clinic can perform using only a mild anesthesia. Your denture is then carefully adjusted so it will "snap" into place. The entire procedure is performed in as little as two hours.